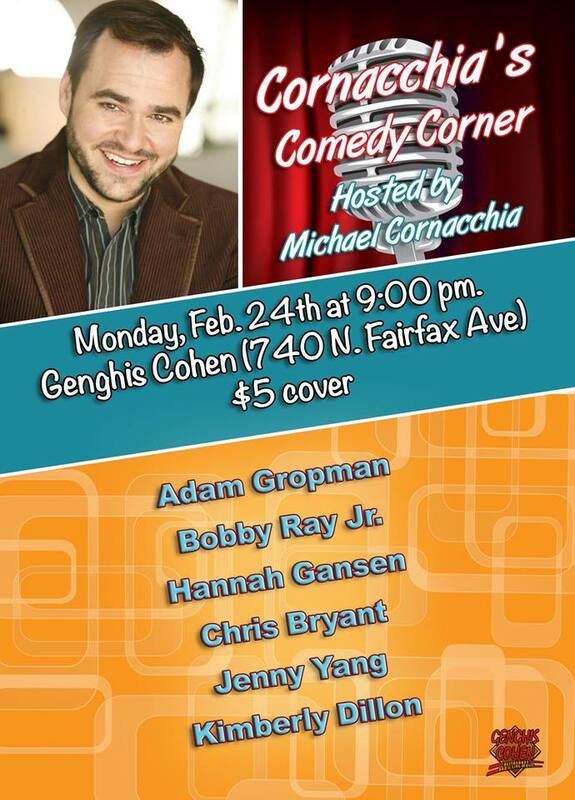 First stand-up show of 2014!!! – Bobby Ray Cauley, Jr. So I’ve been jotting down notes for jokes, sketches, films, all kinds of crap since about 2010. Most of it is joke ideas and “funny thoughts’ that crossed my mind. The word doc I have it stored on is about 130 pages long, I’m actually in the process of splitting it up into more docs by subject because it’s simply too much to keep up with in 1 doc. Any who, this year I really want to grind out more on stand up, writing, open mics, shows, all that. Honestly, and I hope this don’t sound bad or disrespectful to the art form, I have NO aspirations to be a touring stand up comedian. I mean don’t get me wrong, it would be nice, but I’m NO WHERE near even thinking about that. So I just want to focus on writing and performing and getting better. That’s it. Lame as it may sound, that’s the truth, whatever happens after I get “decent” is a bonus. Stand up is one of those art forms that takes time, consistency and commitment, so there is no need to complicate it by saying in 5 years I want to be at “this” level, but that’s just me though. Today, so many people want instant gratification and praise for things that they may not be that good at, youtube is a blessing and a curse! I say all that to say, come to the freaking show dammit! This spot has really good egg rolls I hear! I made 1 year living in Los Angeles!